Shop through AMSOIL's online store or call D&M Marketing, LLC at (770) 312-7542 to find the most effective products for your vehicle's maintenance. 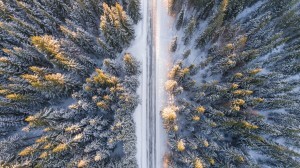 The first thing that you need to keep in mind is that, while it's incredibly important that you have a winter emergency kit to deal with unforeseen circumstances, it's also crucial that you know how to employ and maintain said kit. For tips on the matter, continue reading. Learn How to Use It: For starters, you will need to learn how to use your emergency kit. After all, what good is it if you have no idea how to employ the tools in it? Take some time to get familiarized with it, so you can use it effectively in an emergency. Protect It Properly: One thing you need to think about is that the emergency kit needs to be protected, lest you want its items to get damaged and be rendered useless before you even have a chance to employ them. To that end, get a container that's water and fireproof, so that everything will stay safe in it. Place It Strategically: In an emergency, you should be able to locate and grab the emergency kit in no-time, so you can handle the situation appropriately. That's why, it's imperative that you designate a strategic spot for it. Not only that, but after each time you use the emergency kit, you should make it a point to return it to the same spot, so it can be found easily in another emergency. Care for Its Condition: What good would a blanket be in an emergency if it's all torn and in bad shape? Not much. For that reason, it is imperative that you do regular inspections of the emergency kit and ensure that everything in it is in perfect working condition. Restock It as Necessary: Finally, tied to the point above, you should make sure that during those routine inspections, you notice if there's anything missing in the emergency kit. If there is, restock it at once, so you can guarantee that it will all be there when it's needed. Keep your vehicle strong with help from AMSOIL Signature Series 5W-30 Synthetic Motor Oil, the best synthetic oil in TARGET. Ok, so now that you know how to take care of your emergency kit, it's time to know which items you need to keep in it to endure a mishap during the colder months of the year. Helpful Tools: For starters, you will need to get some helpful tools for your vehicle. These could be: a whistle, a hand sanitizer, aloe vera, safety pins, a fire extinguisher, a flashlight, scissors, a snow shovel, matches, tape, tweezers, and more. Water and Food: You need to guarantee that you'll have a way to stay hydrated and nourished while you wait for help in an emergency situation. That's why, you should have enough water and non-perishable food (such as nuts) for all of the passengers in your vehicle. Protective Gear: During the winter, you may need to find ways to keep yourself covered, protected, and warm. To that end, it is necessary that you have with you some protective gear, such as thick blankets, hats, gloves, extra clothing, etc., in your vehicle. Communication Devices and Contact Information: You may need to call out for help during an emergency. Having communication devices (charged and with extra batteries), as well as important contact information, can help you contact others and seek out help. Equipment for the Vehicle: Something that should never be missing in your vehicle is the equipment needed for mishaps with the vehicle. For example, a tire jack, chains for the tires, charger cables, among others. The basics, such as closure strips, tape, alcohol, band-aids, cotton, gauze, etc. Medicine, of course, like antihistamines, antiseptics, aspirins, antibiotics, paracetamol, and if needed, prescription medicine. Some medical equipment: thermometers, disposable gloves, sterile wooden sticks, syringes, and more. Browse AMSOIL's online shop or call D&M Marketing, LLC at (770) 312-7542 to place an order on top quality products for your vehicle, such as the best synthetic oil in TARGET.